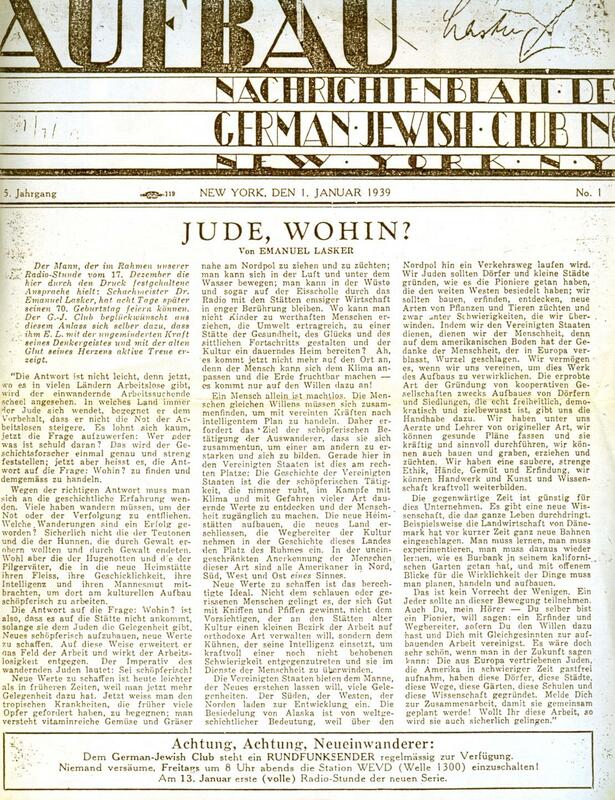 In his ‘Personal and General’ column on page 264 of the International Chess Magazine, September 1891 Steinitz gave from his New York Tribune column of 6 December [sic] 1891 a rebuttal (received from Chigorin) of allegations that anti-Semitism was rife in the St Petersburg Chess Club. More particulars are sought on the above statements by Steinitz. ‘Since chess entered upon its third period of splendour, the period in which we actually are, the Israelitish element has exercised a predominance out of all proportion to the number and position of the Jews. The branches of activity are well known in which the Israelites have excelled for so long, and, as it were, by the force of atavism – banking, business, industry. In chess their supremacy began to manifest itself scarcely two generations ago. It has not ceased to grow stronger and stronger since then. If this fact has a meaning from the point of view of culture, it must be this, that the nineteenth century is the century of the emancipation of the Jews. When we apply our observations to Russian affairs, we see the latter suddenly made clear in a blinding flash of light. 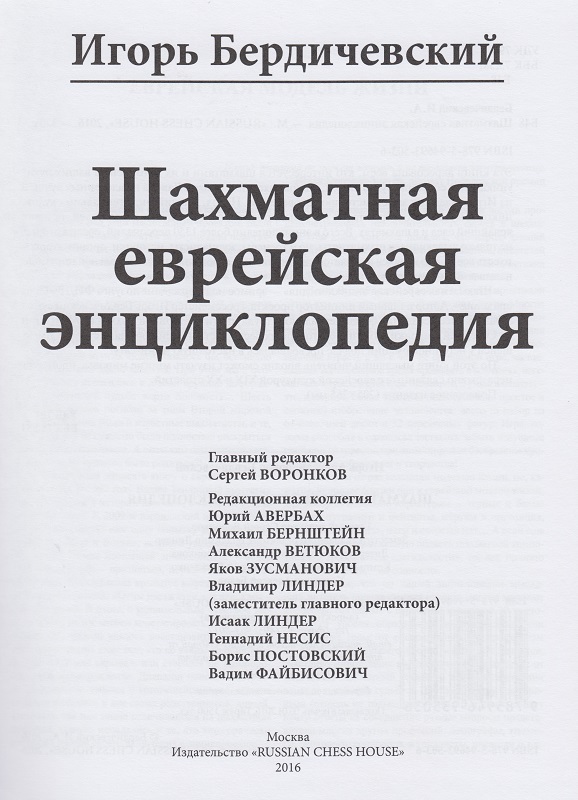 The expansion, the formidable development of Russian chess, is more or less confined to the short space of time between 1904-1918; the period in which the Judaeo-Russian masters affirmed themselves victoriously, the period of the tournament triumphs of Rubinstein - the same Rubinstein who used to conduct in his native town of Lodz a chess column in a little Yiddish paper, printed in Hebrew characters. The dates mentioned are those of the two Russian revolutions, the first of which, as we know, was averted, while the second succeeded completely. If it brought to the Allies the cruellest surprise and deception, on the other hand it procured for the Russian Jews their absolute emancipation, if not power. Yiddish has henceforward become an officially-recognized language, and the German philologists, who up to now have neglected and despised this idiom, are devoting themselves to it with fervour. So the evolution of chess proceeds equally with the formidable Messianic movement which has been manifesting itself for some decades in the Jewish people, and is now crowned by the hope of seeing the ancient kingdom of Israel re-established in the land once flowing with milk and honey. I can foresee, in the not very distant future, the great world’s championship tournament being held in Jerusalem. ‘The Wiener Schachzeitung has become a weekly instead of a fortnightly, and its great popularity is likely to increase thereby, as there is something very attractive in the idea of getting a chess paper with hot news every week. It remains to be seen how recent events will affect chess in Austria, but the effect will certainly be adverse. Many, if not most, of the leading masters in Austria, as in many other countries, are of the Jewish race. German chess is now a shadow of what it was. In no field have the Jews excelled more than in chess. A New Zealand correspondent gives us the following list of famous Jewish masters: Löwenthal, Zukertort, Steinitz, Chigorin, Lasker, Schlechter, Janowsky, Winawer, Tarrasch, Rubinstein, Bernstein, Spielmann. Among younger masters we have Reshevsky, Fine, Kashdan, Dake, Simonson, Horowitz and many other Americans; Flohr, Botvinnik, Levenfish and so on ad lib. Strangely enough, no Jewish player has won or even competed for the world championship since Lasker lost it in 1921 – yet two Jews held the title for the first 55 years. Steinitz was the son of a rabbi and was to have been a rabbi himself; Lasker is also a professing Jew. Reshevsky belongs to the strictest of all Jewish sects. H.G. Wells, himself a chessplayer, mentions the eminence of the Jewish race in chess, in his History of the World. He appears to attribute it entirely to an innate sense of values – a capacity for judging between relative gains and losses with the utmost subtlety. That is almost certainly a factor, but one could also argue from the fact of racial oppression. The reaction to the oppression has been a tendency among Jews to strive to excel in whatever they take up, whether it be commerce, mathematics, chess or purely artistic spheres in which H.G. Wells’ idea would not apply. 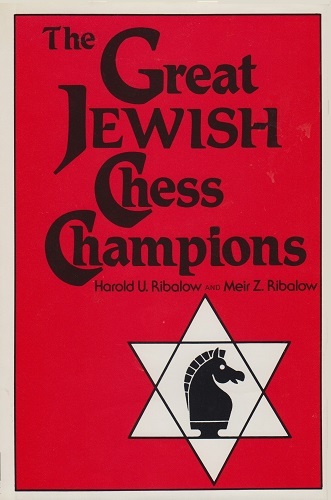 Regarding the deletion of Jewish players’ names from Kurt Richter’s book Kombinationen (1936 and 1940 editions) see Patriotism, Nationalism, Jingoism and Racism in Chess. The co-authors may have meant Aaron Alexandre, even though he was only about ten at the time. Appropriately, the book’s dust-jacket mentions that ‘the Harold U. Ribalow Award is presented annually by Hadassah magazine for an outstanding English-language work of Jewish fiction’. ‘There remains one question. Why has the Chess Crown, since the death of Alekhine, rested on Jewish heads (except when it was borrowed by an Armenian)? To say that it is because there are still many Jews in Russia is not a sufficient explanation. My own theory is that Jews, through evolutionary processes, have become good at languages. To be good at languages it is desirable to reach maturity early, and grasp the accidence and syntax and important vocabulary at an early age, so that while the mind is still young the student can express himself fluently and with mastery. Among languages I include mathematics, music and chess. Different inter se, these systems are only grasped creatively by those who early grasp the technique. The particular Jewish control of chess is one instance of this process realized. Further references are provided in the Factfinder. Latest update: 27 June 2017.